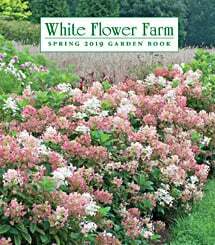 This delightful garden gem produces exquisite snow-white flowers with deep blue markings and a brilliant yellow blaze that spills onto each fall. The blooms unfurl at the first hint of warmth in spring. Stunning planted on a sunny slope. The Dwarf (or Reticulate) Iris have a net-like covering on their bulbs. These tough little Iris bloom very early, with species Crocus. Their leaves continue growing taller once bloom is past, but they disappear later in the season. Give them full sun, well-drained soil, and a spot that stays dry in summer. Excellent rock garden plants. For more information on the growing and care of Reticulate Iris, click Growing Guide. For Dwarf Iris, plant in full sun to part shade, 3-4" deep, 3-4" apart (10 per sq. ft.). For Juno Iris, plant the bulbs in the same manner as Dwarf Iris, but space them 4-6" apart. Plant in a warm microclimate for earliest bloom. Bulbs thrive in full sun and well-drained soils. These Iris are excellent for forcing.